Mix first five ingredients. 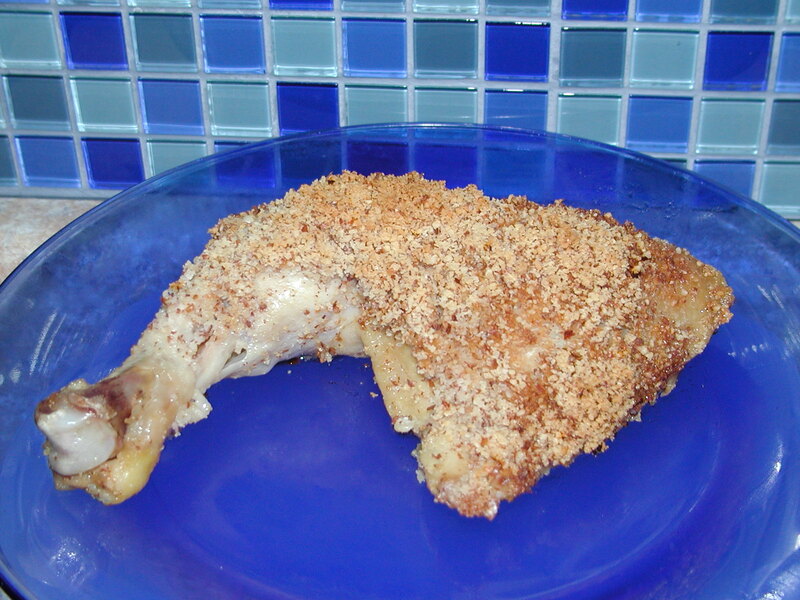 Brush a thin layer of raw honey onto raw chicken and sprinkle with almond flour mixture. Bake at 375 degrees for 60 minutes. Enjoy!